Ideal for those who want to create large, poster-size prints – or crop images without losing any of the detail necessary for printing – EOS 550D's 18MP CMOS sensor is outstanding in low light, and produces images with incredibly low noise. When light levels fall, the EOS 550D offers an ISO range of up to 6400 – expandable to 12800 for those environments where using flash is undesirable. Add an additional microphone for better quality sound using the 3.5mm stereo jack socket. Shoot VGA movies with an effective zoom of 7x. Movie crop uses only the centre part of the sensor and allows long distance shooting without having to change lenses. 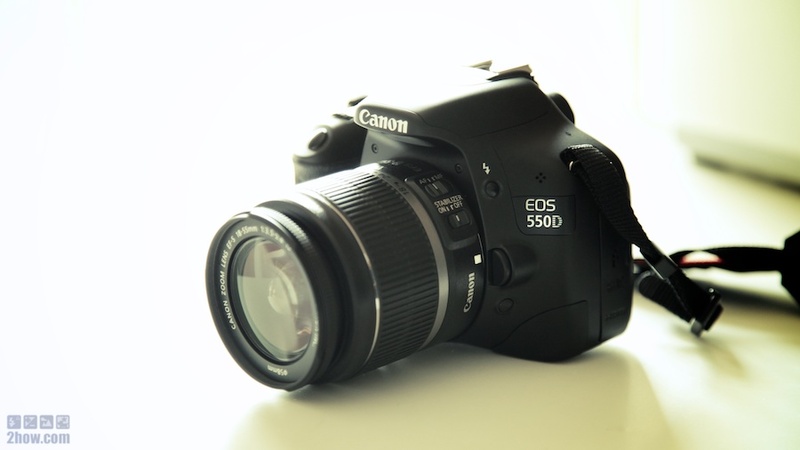 The EOS 550D is compatible with Canon's full range of EF and EF-S lenses and EX-series Speedlites. When creating iPhone 4, Apple designers and engineers didn't start with a clean sheet of paper. They started with three years of experience designing and building the phones that redefined what a phone can do. iPhone 4 is the result of everything they've learned so far. And it's all contained in a beautiful enclosure a mere 9.3 millimeters thin, making iPhone 4 the world's thinnest smartphone. All the breakthrough technology in iPhone 4 is situated between two glossy panels of aluminosilicate glass — the same type of glass used in the windshields of helicopters and high-speed trains. Chemically strengthened to be 20 times stiffer and 30 times harder than plastic, the glass is ultradurable and more scratch resistant than ever. It's also recyclable. The 960-by-640 backlit LCD display boasts a pixel density of 326 pixels per inch, making it the highest-resolution phone screen ever. To achieve this, Apple engineers developed pixels so small — a mere 78 micrometers across — that the human eye can't distinguish individual pixels. That makes text remarkably sharp and graphics incredibly vivid. IPS technology also provides excellent color and contrast from almost any viewing angle. The iPhone 4 camera shoots gorgeous 5-megapixel photos and stunning HD video. And with its advanced backside illumination sensor, it captures beautiful images even in low-light settings. The built-in LED flash does double duty. When you're taking pictures, it works as a flash. When you're shooting video it can stay on to light up the scene. And on the front of iPhone 4, the built-in camera is perfect for making FaceTime calls and shooting self-portraits.